Sputnik: Now in this very critical situation for Venezuela, did you ask for any help from Russia? Perhaps about military or financial assistance? And, as we heard, a number of private security officers from Russia have now arrived in Venezuela, as they're saying in the media, to ensure your safety. Is this true or not? Nicolas Maduro: President Vladimir Putin always provides us with assistance from Russia in every sense of the word, and we are grateful. What I asked President Putin is to keep in touch with us, to support us at the diplomatic and political level in the UN and to defend the truth of Venezuela internationally. During a conversation a few days ago, he told me that we would strengthen cooperation in the economy, trade, oil, gas, military affairs, in all areas. In terms of military cooperation, we have Russian equipment of the highest level; the most modern weapons systems are in Venezuela. They are well deployed and all of our personnel are working. They have been trained in Russia. We have a very good relationship in terms of military cooperation with Putin. 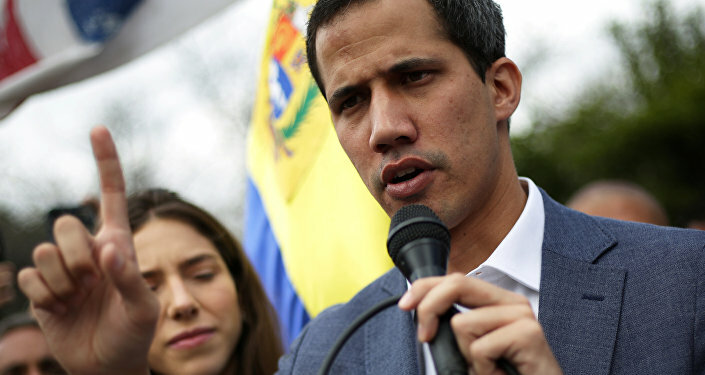 Sputnik: Could you tell us if there is already a detention order against Mr Guaido because the General Prosecutor's Office announced that they would take certain measures against him? Nicolas Maduro: This is the constitutional issue of Venezuelan justice. As the head of state, I believe that it was the promotion of a coup d'état, a violation of the Constitution. But this is only the opinion of the head of state. The Prosecutor General will have to act, and he has already begun to act, the Supreme Court will have to act — and it is already acting. And what the prosecutor's office and the courts decide will be executed in the Venezuelan legal system. Nicolas Maduro: As far as I know, this measure has not been adopted yet. Let's wait for the internal constitutional and judicial processes to see what the results will be. Let's not rush, we will wait. Nicolas Maduro: This decision completely violates the norms of international law. This is an illegal decision seeking to expropriate a Venezuelan asset and a Venezuelan company. This is what we are going to demonstrate. I’m sure that we will come out winners defending Citgo as the property of the people of Venezuela. This is one of the most risky, adventurous and one of the most insane decisions by John Bolton. Nicolas Maduro: We are in a stage of critical restoration. We’re overcoming obstacles and attacks on the exchange system and the pricing system. We have a consistent programme, a plan. I’m sure we will advance and make every effort to stabilise the current situation. Nicolas Maduro: First of all, my fate is in God’s hands; I’m a Christian and I believe in the protection of the Lord… I’m protected by the people of Venezuela; we have a good intelligence service. However, there’s no doubt that Donald Trump had ordered to kill me; he told the Colombian government and the Colombian mafia to kill me. If something happens to me, it will be Donald Trump and Colombian President Ivan Duque that are responsible for that. Meanwhile, I’m protected; we have a good protection system. Moreover, we have more substantial protection – the protection of God, who will grant me a long life. Nicolas Maduro: I can’t tell you that. No comment. I'm not making any comment… I have no comment on that subject. Nicolas Maduro: It would be good to hold early parliamentary elections; that would be a good form of political discussion and a good decision with a popular vote. I would support it if it was done earlier, and if we held earlier elections to the National Assembly. Nicolas Maduro: This is an absurd trick by some countries obsessed with Donald Trump’s policies. We are returning to neo-colonialism when one European capital, I mean Washington, can give orders to any country in Asia, Africa, Latin America, or the Caribbean, basically to any country. But who are they to decide here? I won 68% of the vote. That was a legitimate victory; we held elections through a transparent electronic system, with international observation. We don’t accept any ultimatum from anyone in the world, don’t accept blackmail. Venezuela’s presidential elections have been held, and if the imperialists want new elections, they’ll have to wait until 2025. Nicolas Maduro: First of all, I’d like to say that what John Bolton did was something very infantile, this is just clownish. To come out with a folder as if he’s the US president to read that he’d send troops to Colombia is just nonsense. Even Colombia’s government, Foreign Office and the Ministry of Defence have denied this. This is a provocation; this is rather childish on the part of John Bolton in his disappointment and hatred of Venezuela. This is stupid childish behaviour. Over the course of 200 years, our revolutionary project has influenced Latin America and the countries of the Caribbean. They [the US authorities] fundamentally want to destroy the example, the idea, the spirit of Simon Bolivar. This is the second big reason — to kill this spirit — spiritually, culturally, politically. And to move without any resistance to neocolonialism in Latin America. They [the US] consider us their "backyard". And we say, we are not anyone's backyard, we are an independent republic. As you would say in Russia, we have a 200-year historical impulse, we are winning and we will win. Nicolas Maduro: Over three thousand American companies are entered in the register of trading companies in Venezuela. They work in Venezuela. There are companies in the oil field like Chevron with large investments. I say to American investors in the field of oil, gas, tourism, technology, gold, and diamonds: despite the tense relations with Trump, you are welcome, let them invest and work in Venezuela. This tension should not prevent American investments in Venezuela. We welcome them. Nicolas Maduro: The subject of the armed forces is very delicate for any country. There are calls from the White House for the military to raise their weapons and refuse to recognise me as the commander-in-chief, as the President of the Republic. And the right in Venezuela — this is not happening in any country — the right called on the military for an armed uprising, for a military coup d'état. This has never happened in Latin America. In the 20th century in Latin America, there were more than a hundred coups. But never, in spite of the fact that all the coups were prepared and carried out by the American Empire, the USA, neither the president, nor the secretary of state, nor a high-ranking official ever called for a coup. When Pinochet carried out a coup in Chile, the US government supported the coup later. And not that President Nixon said: "There must be a coup". This is the first time in history. This indicates how desperate the White House is. This is a very delicate matter. What am I doing? I fulfil my duties as a supreme commander under the Constitution, rallying the national Bolivarian armed forces. And the Bolivarian armed forces demonstrate a lesson in morality, loyalty, and discipline. 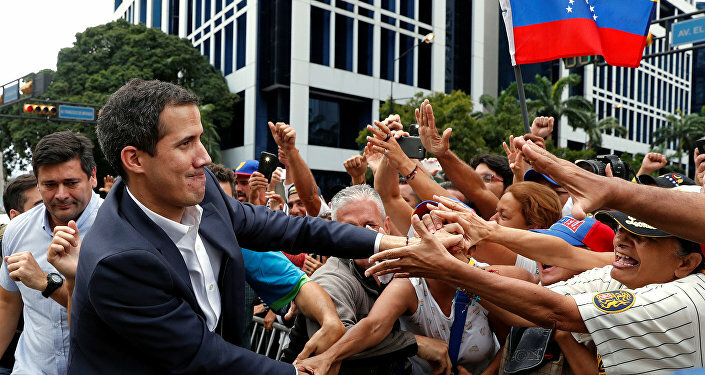 We will win a big victory — (establish) stability, peace, and loyalty in Venezuela. 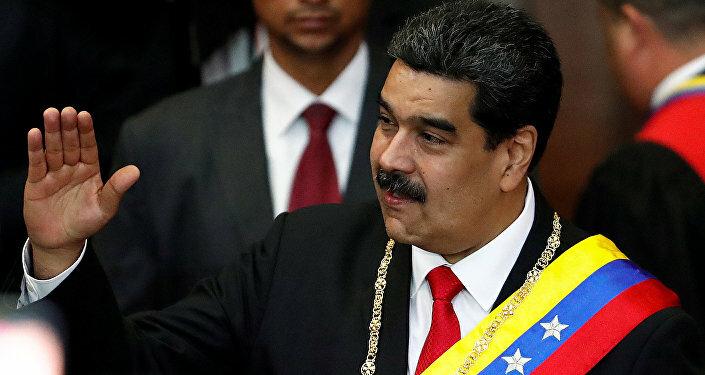 Nicolas Maduro: There are several governments, organisations in the world that demonstrate their sincere concern about what is happening in Venezuela, they have called for a dialogue. The governments of Mexico, Uruguay, Bolivia, Russia, the Vatican, some European governments support (call for) a dialogue. I sent official letters so that they maintain a dialogue in Venezuela — where they want, when they want and in the form in which they want. I am ready to sit down at the negotiating table with the opposition so that we can talk about what benefits Venezuela, for the world and its future. Nicolas Maduro: At this stage, we are talking about private negotiations, phone calls between presidents, the heads of foreign ministries. Our foreign minister is very active. We hope that there will be positive results in the coming hours. Nicolas Maduro: We have good financial relations with China and Russia, and they will develop. Relationships on financial cooperation in the area of wheat, for example. They finance, and we pay for it on time. Russian wheat has been very successful in Venezuela. This is cooperation for food security and independence.